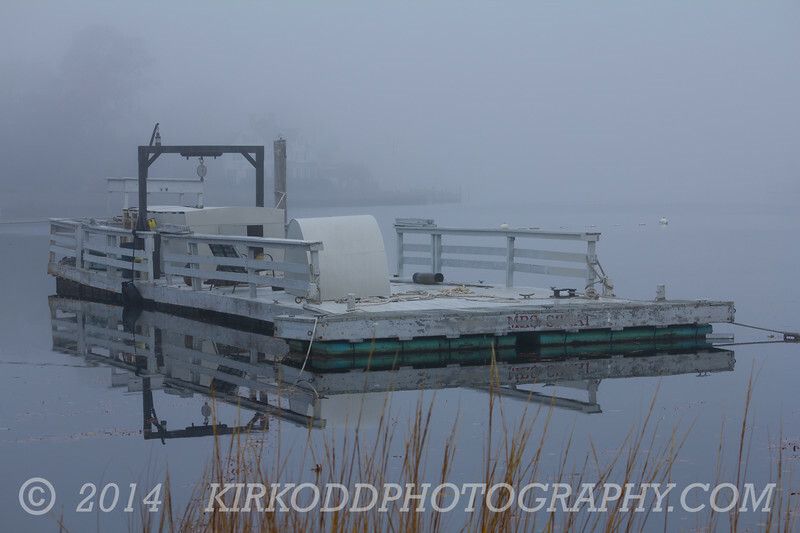 This foggy day proved perfect for photographing this barge. The mirror image on the surface of the Mystic River is nearly perfect! This photo was taken in Mystic, Connecticut.